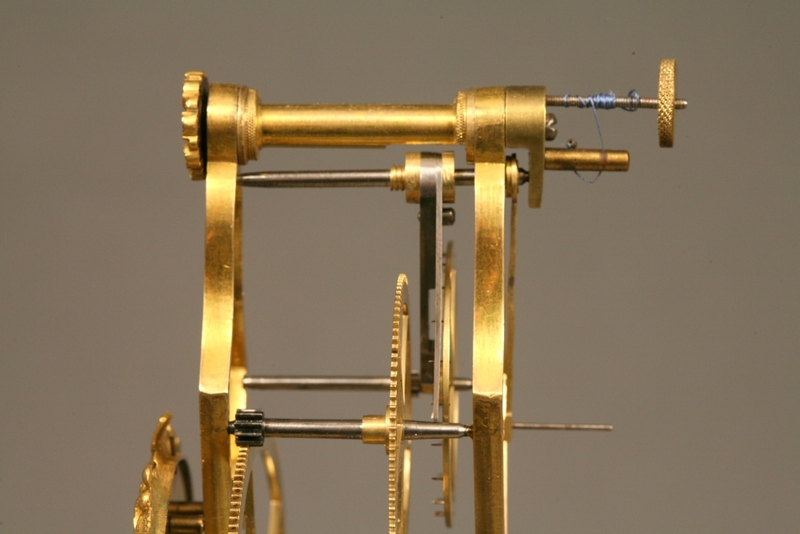 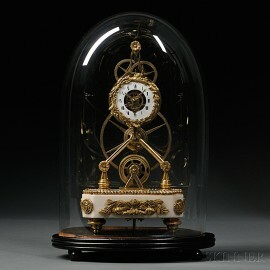 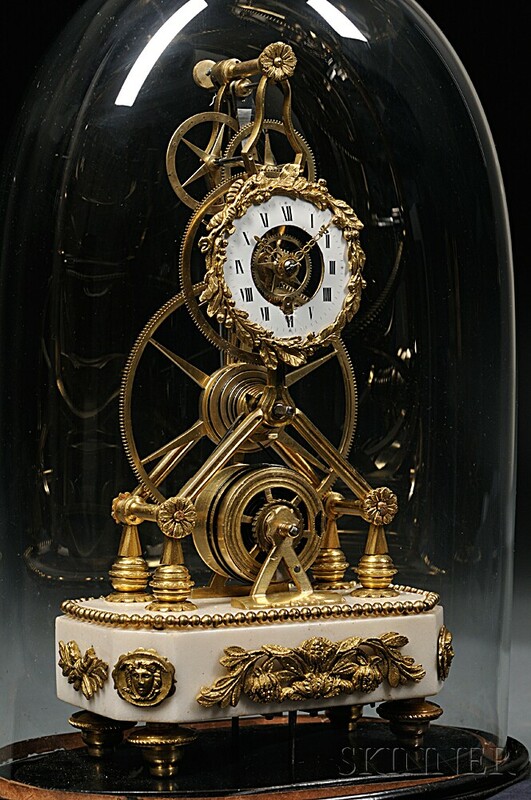 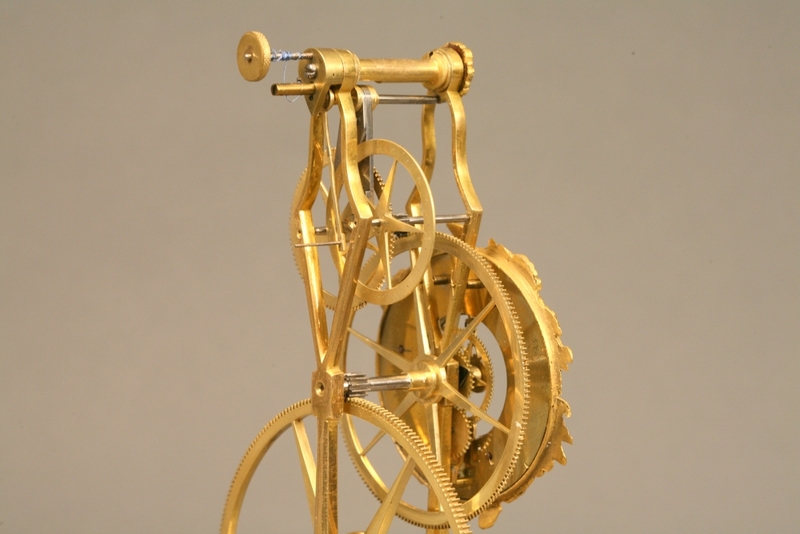 Miniature Ormolu and Marble Great Wheel Skeleton Clock, France, c. 1800, the 2-in. 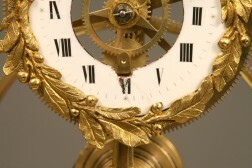 porcelain Roman numeral dial with leaf dial surround and pierced brass hands set in the inverted "Y" frame with going barrel at the base, cast rosette screws for plate attachment, high count great wheel with six crossings and fusee to the center wheel, pinwheel escapement and thread suspension, white marble base with applied ormolu and cone feet, all set on a hardwood ebonized pedestal with glass shade, ht. 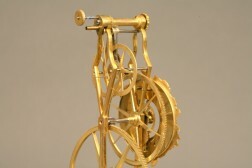 including shade 14 1/2 in. 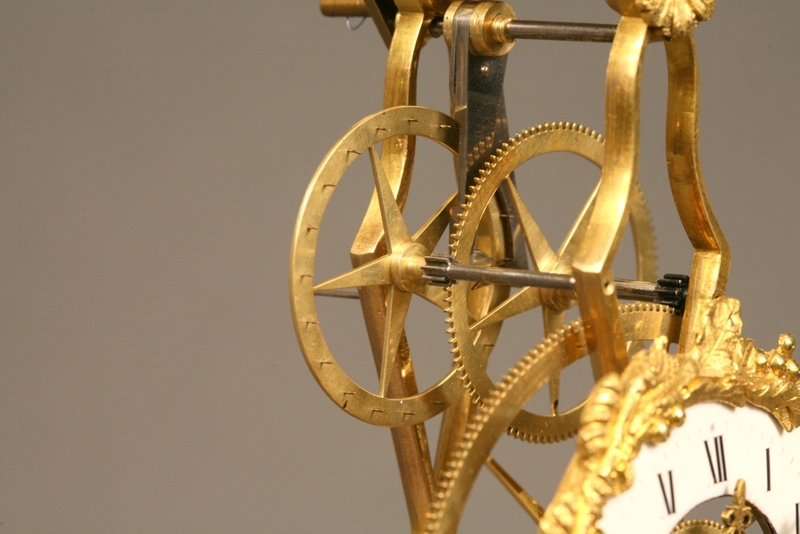 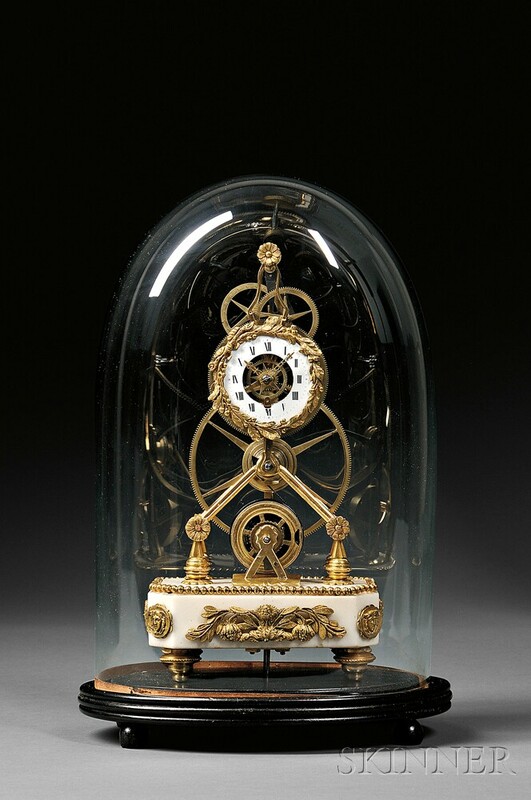 Note: Reportedly, this clock descended in the Drexel family of Newport, Rhode Island. 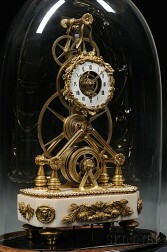 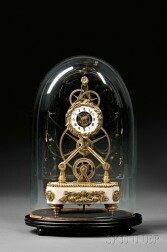 Replacement ebonzied pedistal, probably period glass shade; these clocks are found in two varieties, one, as the current example, a timpiece only and two, the skeleton clock mounted up on a base with enclosed quarter striking work train and bells enclosed.